Consequences Of A Broken Bone From An Attack | Hupy and Abraham, S.C. The attack—and your injury—never should have happened. Yet the lack of security in the parking lot or building created the right environment for a criminal to assault you, and it was during that assault that you suffered a broken bone. While you are grateful that you lived through the criminal attack, you are worried about what your broken bone or other injury is going to cost you now and in the future. Ongoing stiffness or aching long after surgery. This may be an ongoing problem that could be severe enough to interfere with your daily activities. Osteoarthritis. Fractures that go into the joint may make you more likely to develop arthritis. Nerve or blood vessel damage. If you notice numbness or circulation problems, then you should get immediate care. Thus, if you have broken your wrist during or an attack—or while trying to escape an attack—then it is important to discuss your recovery and long-term health risks with your doctor. Who Will Pay for Your Recovery? It is unfair that you should have to shoulder the financial consequences of someone else attacking you. However, it is unlikely that the person who hurt you has the resources to pay for your injuries. 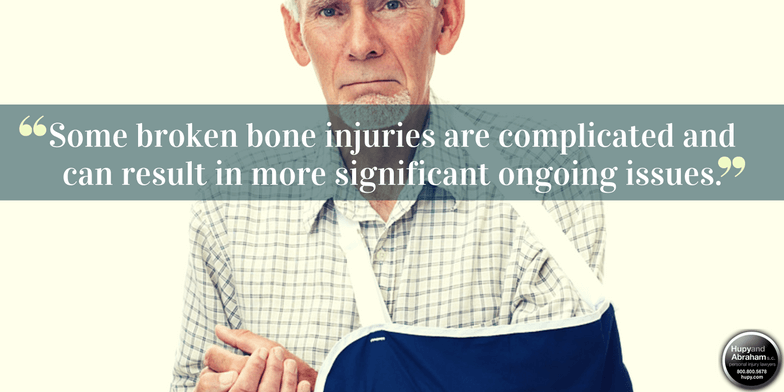 If the property owner failed to provide reasonable security at the time of your attack, then he or his insurance company may have to pay for the current and future costs related to your broken bone injury. This may be a considerable help to you now and in the future. It is an option that you should fully explore. To begin learning more about your rights, please read our free book, Negligent Security: What You Need to Know About It, and please contact us via this website to schedule your free personal consultation with an experienced lawyer.